Note: Both remaining loads of package bees have been delayed by one week. See modified dates below. How to order? Email your request with the desired quantity to orders@azapiaries.com . I will reply with the proper form. 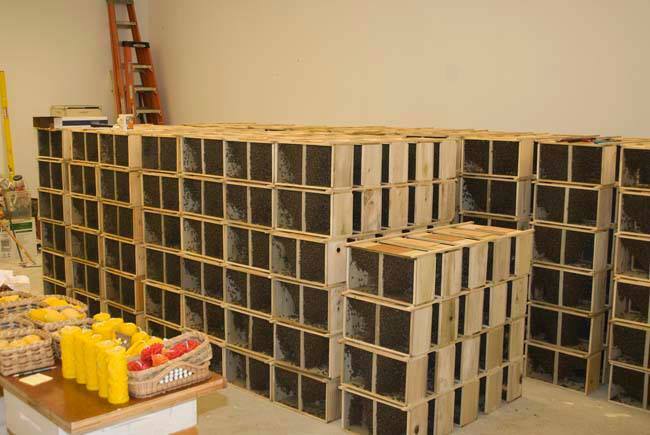 NUCS we are not accepting any additional orders until we have a chance to evaluate how our bees fared during the winter. We expect to have a better idea by March 15-20 and if conditions allow additional sales, we will post that here. Now lets talk about 5 frame nucleus colonies, or “nucs” as they are commonly called. Each spring, from over 300 of our colonies, I select the three that have wintered in the best condition here in Southern New England. The queens from these special colonies are then used to provide larvae that will become new queens. We add these developing queens to three frames of worker larvae (or brood as we call it) and one full comb of honey and pollen as a food reserve. These components, along with one more empty comb are placed into a special hive where the young queen will hatch out, mate and then begin laying eggs that will become an expanding population of worker bees in their new home. This process usually takes from 3-4 weeks and only after I have verified the health and quality of the queen and her offspring will I release this nuc to its new owner. Because we put so much care into raising these bees, they will not be ready until late May at the earliest. We will not release them until they are ready to our satisfaction. If you are in a hurry to get bees, consider ordering a 3lb package of bees that will arrive earlier. Like the packages, we fill nuc orders in the sequence that they were placed. When your nucs are ready for pickup, we will email you with dates to come get them. Because these nucs usually have robust populations, we do not allow them to be transferred into regular nuc boxes and anyone who shows up with them will be turned away. Instead we require you to bring one story of your hive and we transfer them into your hive for transport home. When I notify you of the impending pick up, I also include a detailed list of what to bring and if you need some or all of the components, we offer them for sale. We try to make this as easy as possible but the potential for stress or death to the bees forces us to be very strict about how you move them. Need equipment? Check out our equipment page for beehives at 2018 prices. MapQuest link for directions to A&Z Apiaries in Hampton CT is here http://mapq.st/1eu3uFt My address is 143 South Brook Rd, Hampton CT. Be careful, sometimes older GPS software will put you in Scotland, 5 miles from here. Directions? We are located at 143 South Brook RD, Hampton CT 06247. 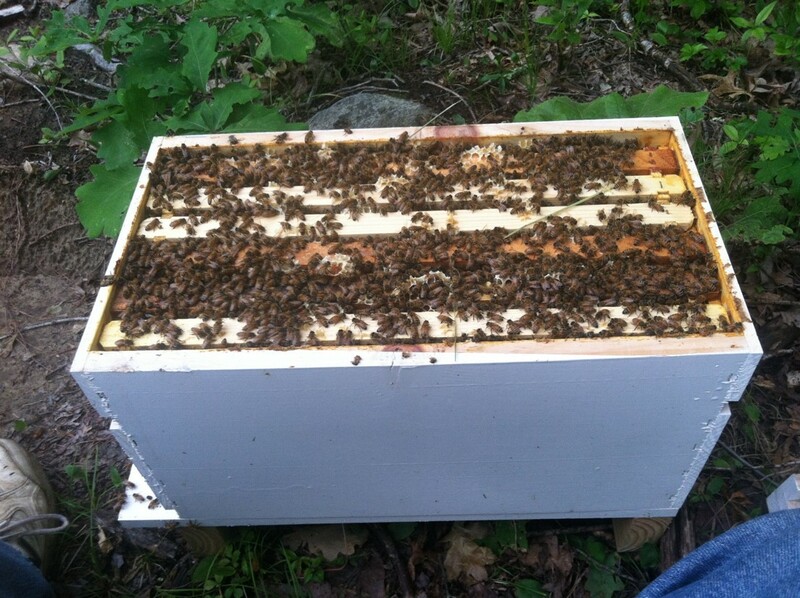 If you have any questions you can always call me at 860-428-1731.
adam@azapiaries.com or call , 860-428-1731.